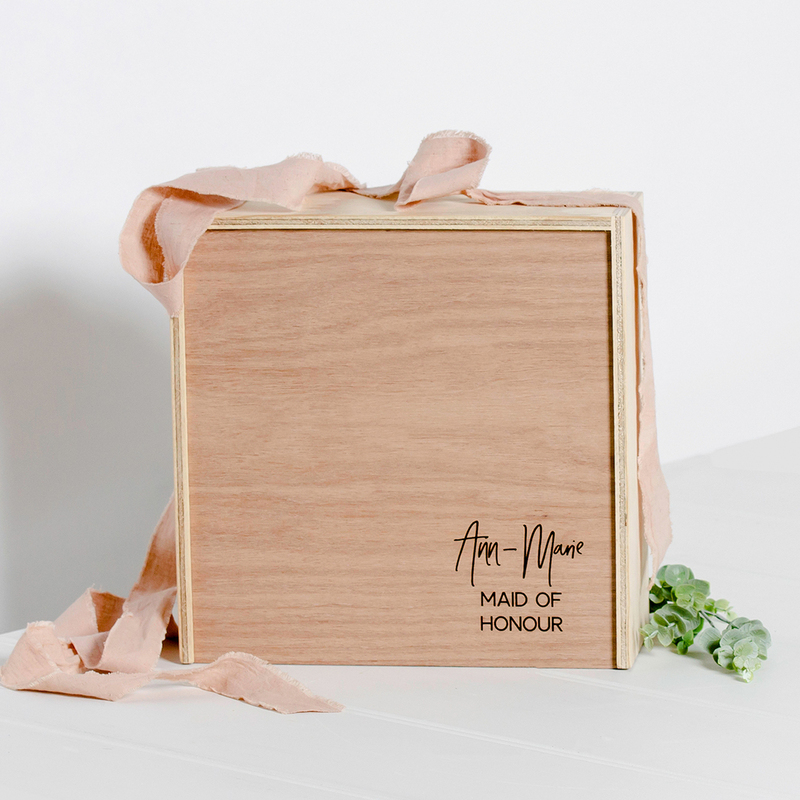 If you are looking for a gorgeous way to propose to your Bridesmaids, need the perfect gift for the Mother of Groom or want to personalise a gift boxes and fill it yourself? 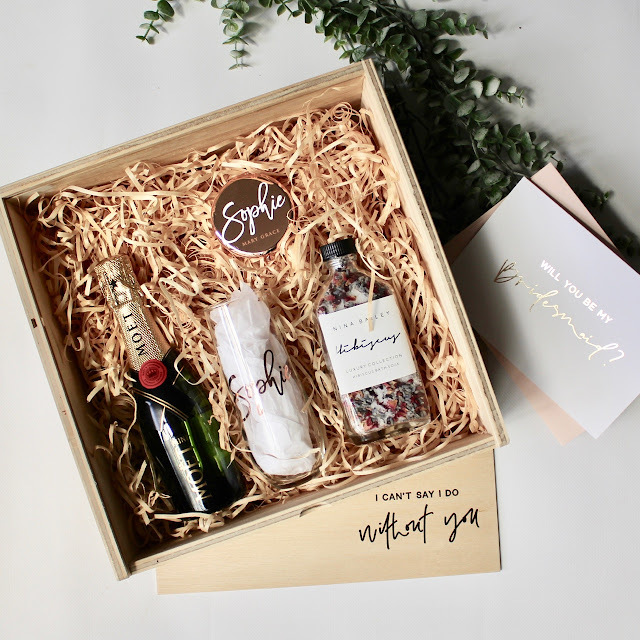 Personalised hampers are an awesome way to invite or thank your Bridal party - the hard part is choosing which one! Alana shares advice for finding the perfect gift and what's popular. ➳ How Bridesmaid Boxes begin? 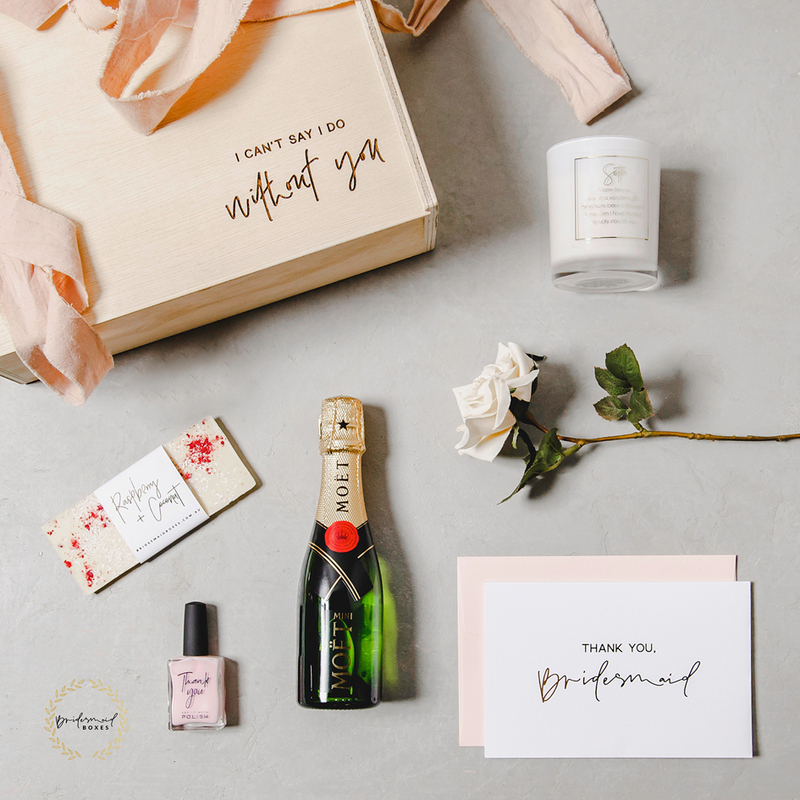 I created Wedding invitations as a hobby for many years and had the idea of putting a ‘bridesmaid proposal’ hamper together as a side offering for my clients. I happened to be in conversations with another corporate hamper company @customhamperstudio and we got talking. So with Belinda’s hamper experience and my knowledge of the bridal industry my first hamper was created! 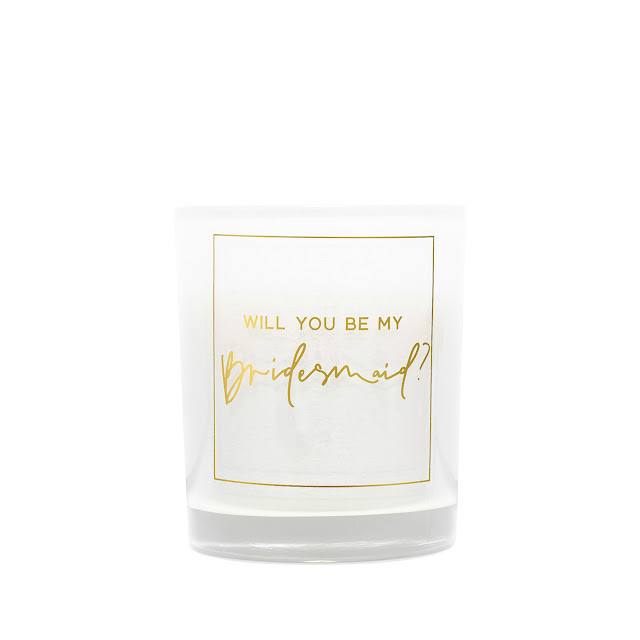 ➳ What can Bridesmaid Boxes offer a Bride to-be for their Wedding day? Depending on the Brides budget - I have some customers make a smaller purchase of a proposal candle and card, and then others who will spend more and buy the hampers either empty or filled with goodies. The hampers all have budget options too with less expensive Moscato to upgrading with Moet & Chandon. I offer all hampers as a thank you hamper too, so the Bride can gift them on the day of the Wedding. The Adelle hamper is popular as this has a robe, Moet and a flute glass so they are all set for the morning of the big day. I also have smaller gifts, most of the hamper items are available individually, as well as a Wedding planner notebook, and did I mention guys yet? 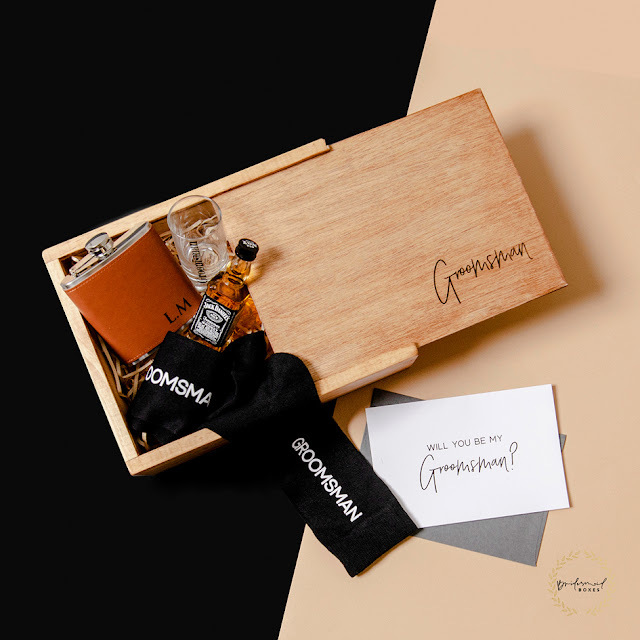 I have a range of Groomsman proposal hampers too which are super popular as they include a personalised flask! 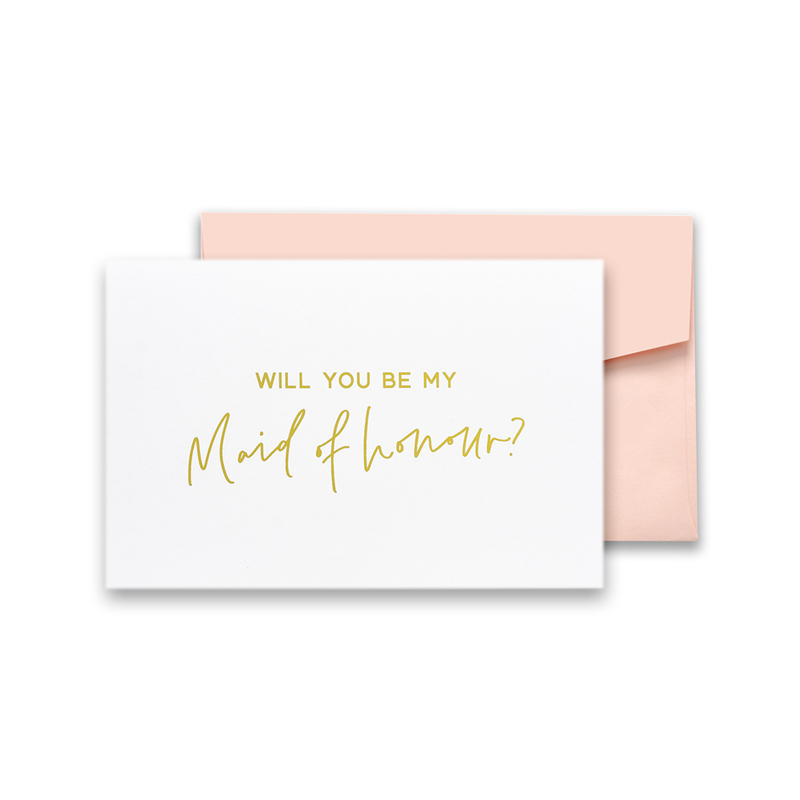 ➳ What advice would you offer to a Bride that is just starting out on their search for the perfect Bridal party gifts? 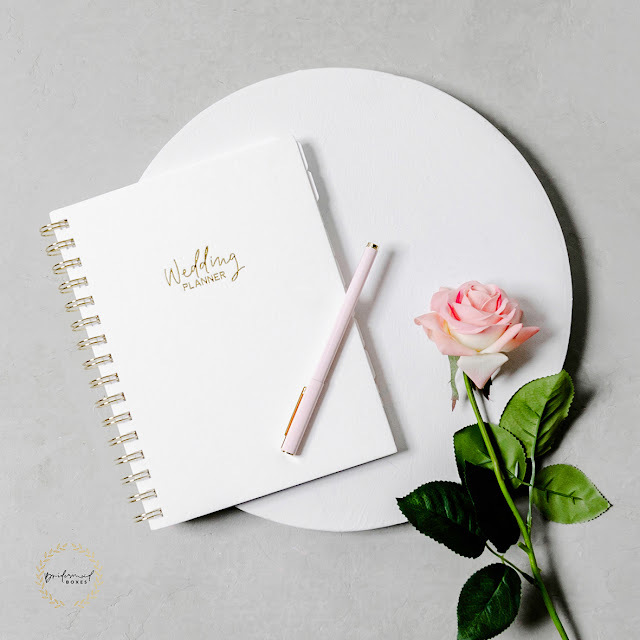 You can definitely make it personal and special as well as within your budget. 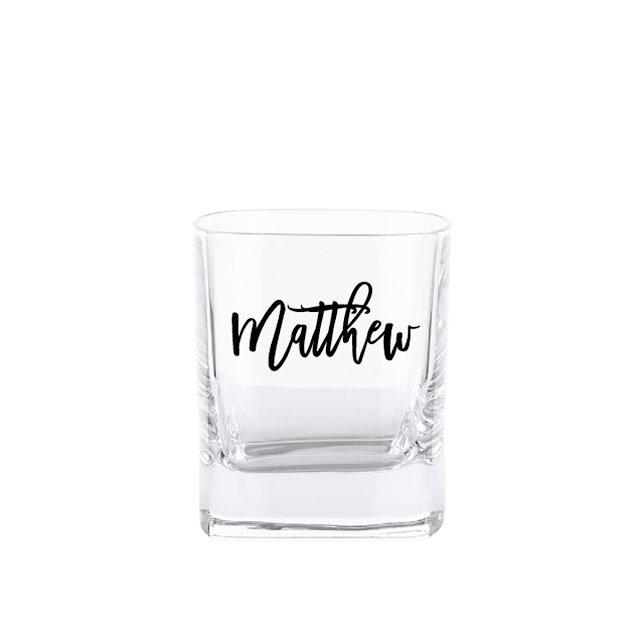 If the gifts are practical or include a keepsake then that’s a great start, start with something special and go from there. 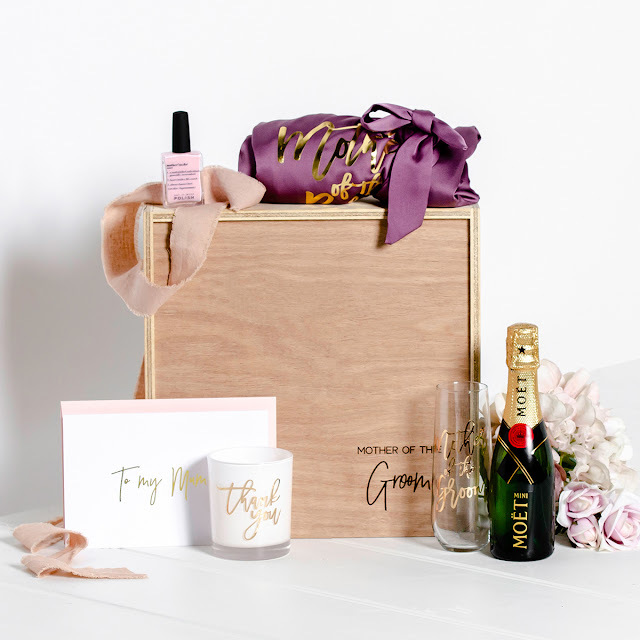 Our personalised hampers are great for that, you can add the bridesmaid’s name onto it and then fill it with anything you want. Maybe jewellery to wear on the day, perfume or even a pouch or purse. Then you can add the fun stuff like some liquid courage and chocolate! ➳ Do you have a personal favourite style of Wedding? I’m obsessed with Wedding styles. I love whimsical mixed with modern. Soft pastel & white florals with greenery. For décor I like stark whites, soft pinks mixed with gold and or black. 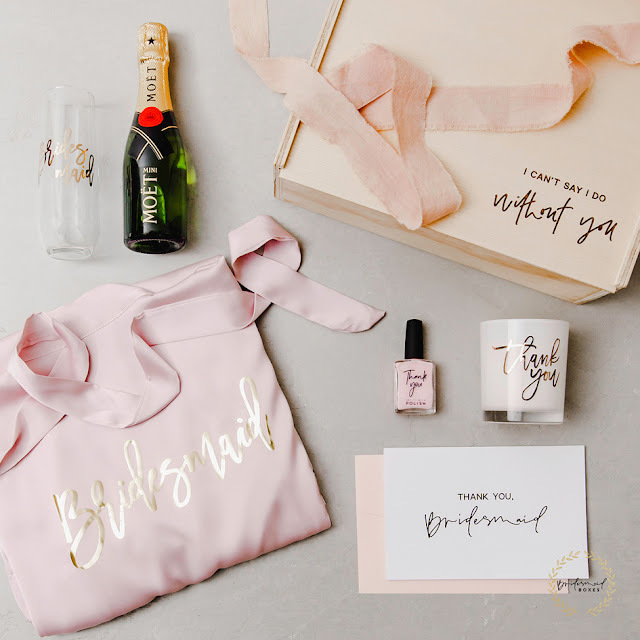 ➳ Please tell us about the best part about what you do: It’s knowing how special the Bridal party feel when they receive their gifts. Especially when I get to write in the cards and post them directly to the recipient! Some of those cards make me tear up, I can only imagine how they feel when they open this incredible box in the mail. It’s such a nice surprise and I’m honoured to be part of it.